Calling all artists, T-shirt lovers and those who enjoy some competition! Think you have what it takes to design the T-shirt or logo that will be worn by members of the Student Ambassador Leadership Program? 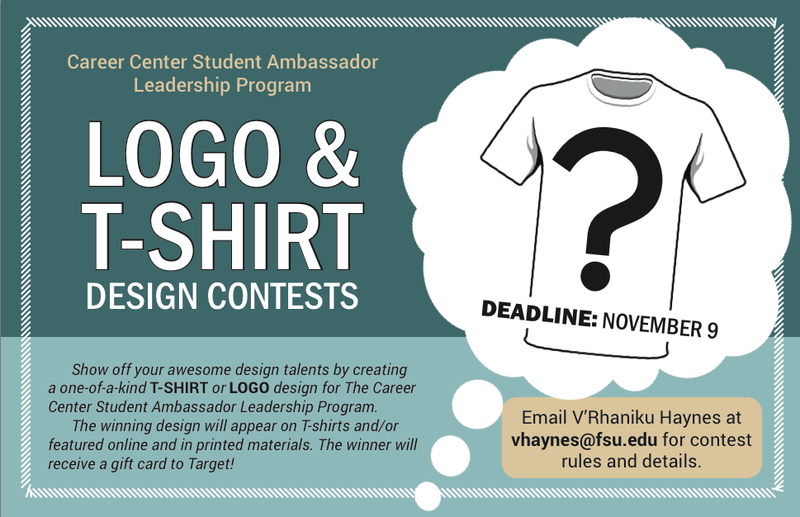 The Florida State University Career Center is currently accepting entries for its T-Shirt and Logo Design Contests and we want YOU to submit an entry! Interested? Contact V’Rhaniku Haynes at vhaynes@fsu.edu for contest rules and details.